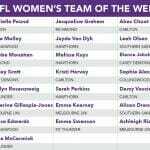 CARLTON has four players in the AFL Draft Central Victorian Football League (VFL) Women’s Team of the Week this round, after comfortably defeating Richmond at home. While the Blues have the most representatives in the team this week, their counterparts have the equal least players in this week’s best 22 with only two getting the nod. 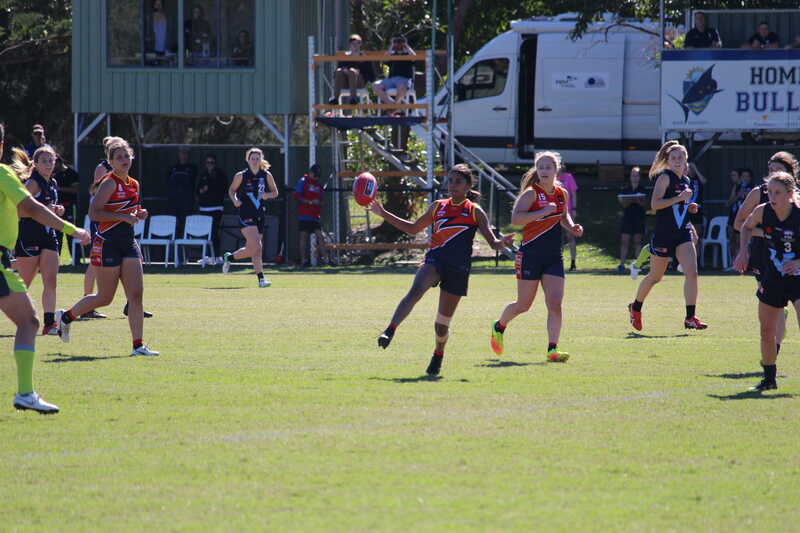 All of the other winners from the weekend have three players apiece as well as the Mugars, who were brave in their defeat at the hands of Collingwood. With six teams sitting out this week with a bye, it gave Collingwood, NT and Hawthorn the opportunity to create a nice buffer away from Geelong in fourth. With three less games in Round 12, it gave more of an opportunity for new faces to make an appearance in the Team of the Week. 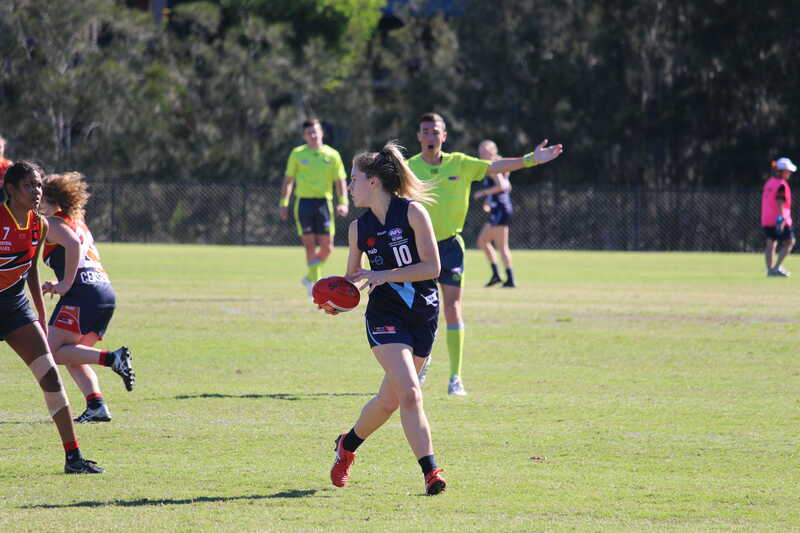 South Australian Under 18 representative, Katelyn Rosenzweig grasped that opportunity with both hands, kicking two goals up forward in a great performance. 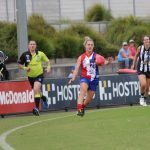 Darcy Vescio proved why she was a marquee AFLW forward with her 2.2 allowing her to display her dominance over the less experienced Tiger back line. 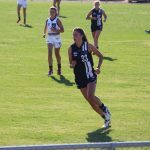 Ashleigh Riddell and Emma Kearney were outstanding for Melbourne Uni against Collingwood, with both racking up a high amount of disposals. Their standout performances ensured that they were locks in the team this week. In the back line, Jayde Van Dyk and Jacqueline Graham were once again solid and were therefore locks in this week’s defensive line-up. Van Dyk gathered 27 disposals while Graham recorded 20. Both players know how to rack up possessions, lock down their opponent and propel attacks, and week after week, they show why they are two of the best defenders in the league. 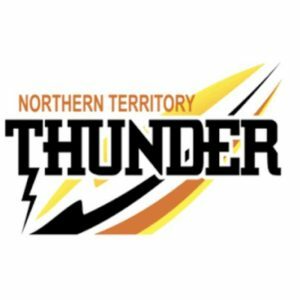 Jordann Hickey was great for the Thunder up forward with two goals and 12 disposals. She can count herself unlucky as that was not enough to get a position in the team. 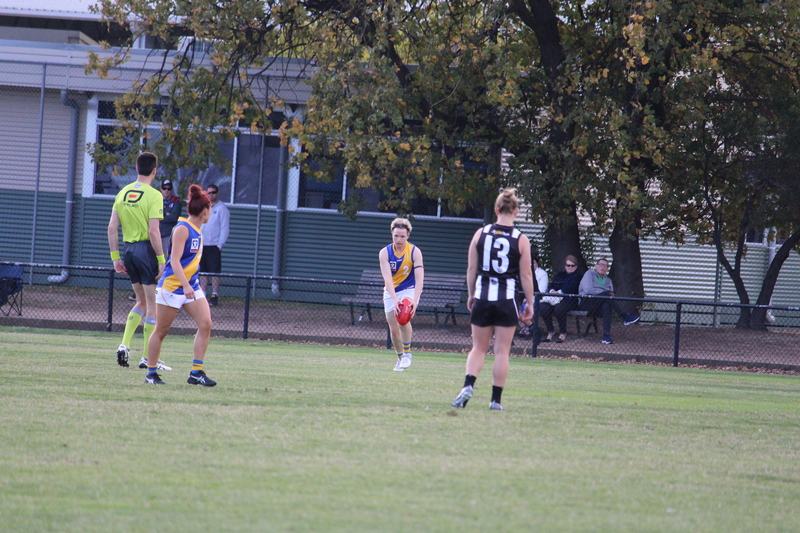 Madison Prespakis is equally unlucky as she was a bull in the midfield for Melbourne University against Geelong with 20 disposals. 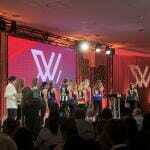 But the competition for midfield spots is too great and others nudged her out on this occasion.